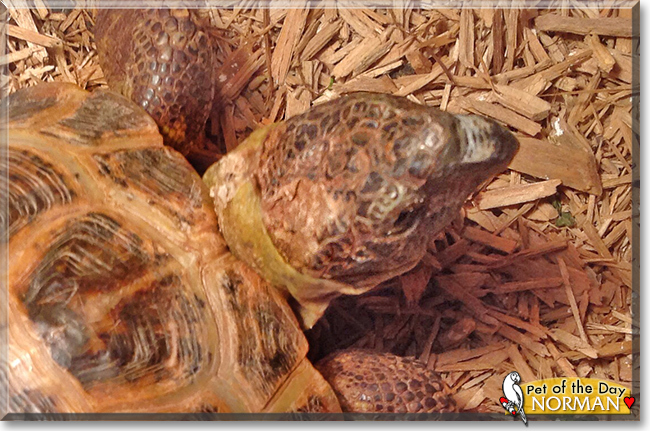 "Norman the Russian Tortoise, the Pet of the Day - December 07, 2015"
This is Norman, he is my Russian Tortoise. He is not a water turtle, there is a big difference. As a tortoise, he can be kept on dry land for a long time. Like any cold-blooded animal, he needs help to maintain his body temperature, so he has a heat lamp to bask under, especially in our Michigan winters when the days are very short, too. He is only seven years old, so he could grow even mmore, though he won'y get huge like some kinds of tortoises do! 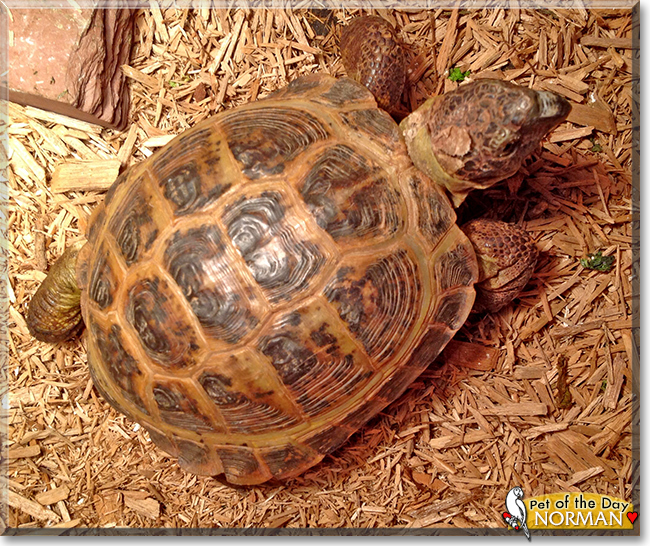 Seven may be old for some small pets but tortoises can live a very long time! He could even live to be 50 years old or more! He is a friendly tortoise, and likes to wander around and explore. We make sure Norman gets plenty of fresh herbs and safe vegetables as well as his tortoise food so he stays healthy and happy! It is interesting to watch him, he is a fun pet. I love Norman! Talk about Norman in Pet Talk! ©1997-2015 Painted Turtle Productions, all rights reserved.